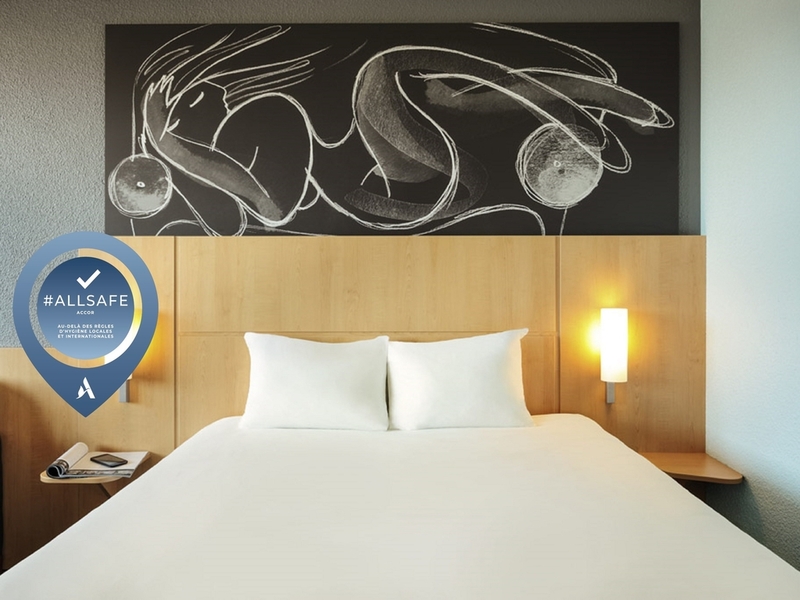 The ibis Strasbourg Centre Petite France hotel is in the heart of Strasbourg. By foot, bike or bateaux mouches, discover the historic city, Petite France, Strasbourg Cathedral in its Millennium year 2015. By foot, bike or bateaux mouches, discover Alsace. 5 min on foot from the Petite-France area. Paying private car park, available only by reservation. Ideal for bikers! The room was quite noisy but the breakfast was excellent. Quick and easy check-in and check-out. Nice clean room, comfortable bed. Enough space for suitcase. Tried to set the temperature lower, but despite a setting at 17-18 degrees C, the room was still a bit hot. Just average Ibis hotel near city center. Unfortunately I was not provided with room upgrade as well as welcoming the platinum guest - only beer as welcome drink. A bit of a disapiontment. I am sorry to rate it an average but my last stay was not what I expected to be. First, there were some works to change the floor carpet in the corridors and the glue that workers were using had a very strong aceton-based smell, almost painful to the eyes! Both my eyes had actually tears from that smell, even inside the room. Second, when I left my room during the day I left hanging on the door the &quot;Do Not Disturb&quot; sign, but when I was back in the late afternoon the sign was removed and placed back on the inside and my bed arranged - so, why do you even have the sign there if you are not respecting my wish not to be disturbed? Since I am using your hotels for my business trips I really hope my next stay with you will be better, otherwise I am changing the hotel... Thank you. Everything was fine, but the bathroom is extremely small. Very basic hotel with very helpful staff. The hotel is very central, but the rooms are very basic. Staff are very helpful. I have always found the service in Ibis hotels to be good and this was no exception. The room was excellent and the hotel had made sure we were well away from any possible traffic noise - although there was very little noise around the hotel and the tram (with a stop across the road) is very quiet. The breakfast buffet has an excellent choice of fruit, breads, pastries, etc, etc - probably enough to eat for a day! The stay was as I had expected, everything ran smoothly and the room was clean and well lit. The hotel is good, its not the beautyfuller location but the hotel its good and at a good location. the location and the service is well，but the WI-FI is so junk，even I couldn't downlaod my message immediatly. Central and convenient location, car park inside hotel, clean and tidy room, wonderful breakfast! If you look for a business or pleasure short stay, you don't need to look further. Highly recommended! I usualy use Ibis hotels for my stays across Europe. I liked it a lot. Facilities were nice and staff was very helpful and polite. Since hotel is placed i the city center it was a good option. We needed a room for 3 and a room for 2. The rooms were fine. The beds were comfortable. The bathroom was small but was clean and very functional. The location was fantastic for Petite France with many places in convenient walking distance. The tram stops very close to the hotel. There are a few parking spaces - we used one and it was a major decision for why we stayed here. You have to confirm the reservation for parking space in advance and the lot is very tight. The staff were really friendly and made us feel welcomed. They even gave us tips and directions for the christmas market and drinks and snacks. The room is comfortable and the wifi is excellent.